This is an intriguing question. As I thought about the answer, I was reminded of going to a 3D movie. You know the ones where they give you some 2 color glasses. Once you put on the glasses, you see objects coming right at you. While I would enjoy the movie, I would always take off the glasses just to experience the movie without the glasses. I would see the screen, but it looked a bit blurry. I could make out everything, but something just didn’t seem right. When I looked at the other people in the theater, I would see them moving from side to side, dodging, grabbing for objects, and doing other kinds of movements. I could tell that they were seeing something that I was not seeing. No matter how close I looked at the screen, without the glasses, I just wouldn’t be able to see what the other people were seeing. But when I put the glasses back on, everything came alive. The objects on the screen started to approach me. The red sedan that was about to clip the edge of the screen with its tire was now about to drive over me. The boxer’s left jab was now headed straight for my face. The shark was now swimming right at me. The balloons were right in front of my face. 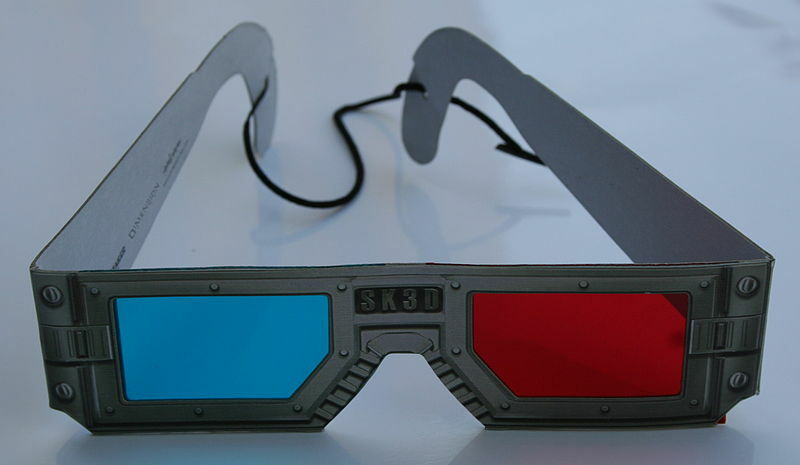 We preachers have the exciting job of providing 3D glasses to our hearers. So now the old stories that was talking about “them” suddenly become indispensably related to “us”. Suddenly every situation has spiritual consequences. Suddenly we see a new dimension, the Spirit dimension, in everything. No, preaching is not a lecture about what happened back then. It is an invitation to see the Spirit dimension then and now and in everything. So as the people go about their daily lives, they now see the Spirit dimension. They see the Kingdom perspective. They see the purpose of God more clearly than when they didn’t have their glasses on. They see it! They see it so vividly and clearly that they no longer want to live without the glasses. They miss so much when the glasses are removed. As preachers, we help people see that added dimension. So we talk about that dimension, because we have no choice. The car is about to hit us. In addition, the shark is swimming right toward our head. Once the people catch a clear glimpse of the perspective the Spirit dimension gives them, they will be not put those glasses down.